November flew. For the most part, it was a blurry month for me. Now, Designer Showcase‘s November round is almost over too. Have you made it there yet? 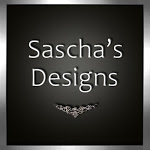 Designer Showcase is a monthly fashion event that features exclusive designs by all types of designers across the grid. FurtaCor’s Leticia Tunic is perfect for fall weather. At least, it still feels like fall to me. That’s Vegas! We love layers. Click here for a lift to Designer Showcase!